Australia’s prime minister on Thursday called a May 18 election that will be fought on issues including climate change, asylum seekers and economic management. 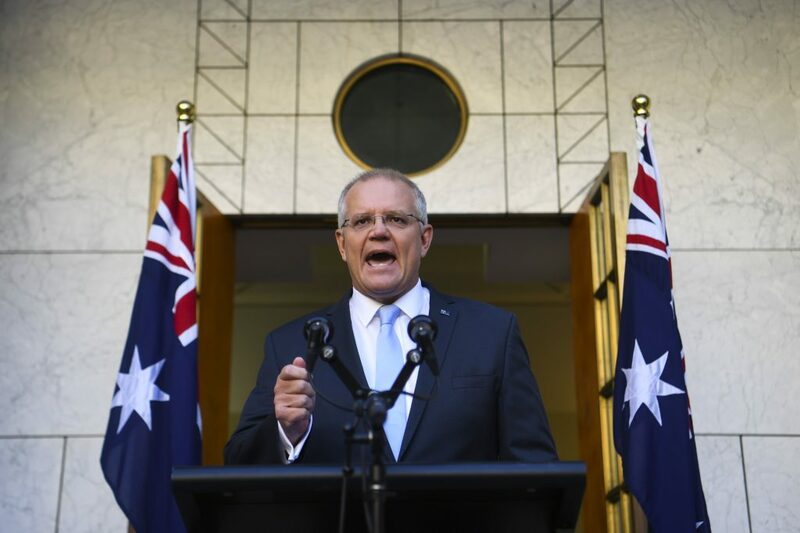 The election pits Shorten, a former labor union leader who has presented himself as the alternative prime minister for the past six years, and Morrison, a leader whom the Australian public is still getting to know. Asylum seekers from the Middle East, Africa and Asia would typically disable or sink their boats when intercepted by patrol ships in waters north of Australia so that the Australian crews would have to rescue them rather than turn the boats away. Under the new regime, the asylum seekers were placed in motorized lifeboats that were towed back to Indonesia. The lifeboats had just enough fuel to reach the Indonesian coast. The Indonesian government complained the policy was an affront to Indonesian sovereignty. Disagreement over energy policy has been a factor in the last six changes of prime minister. Labor Prime Minister Julia Gillard introduced a carbon tax in 2012. Conservative Prime Minister Tony Abbott scrapped it two years later. The government aims to reduce Australian greenhouse gas emissions by 26% to 28% below 2005 levels by 2030. Labor has promised a more ambitious target of a 45% reduction in the same time frame. Debt has continued to mount since the conservatives regained the reins in 2013. But opinion polls suggest voters consider the conservatives to be better economic managers.